Yogurt boasts some impressive health benefits. It’s high in protein, rich in nutrients like vitamin B12, calcium, potassium and magnesium, and some varieties like Greek yogurt contain probiotics that promote digestive health. Most of us already know that when it comes to choosing the healthiest type of yogurt, sticking to plain varieties versus flavored ones that often contain a lot of added sugar is the better choice. But if you’re trying to choose between full-fat and nonfat yogurt, the healthiest pick isn’t always as clear. Some experts believe that full-fat yogurt contains way too much fat and that we should opt for the nonfat alternative instead, while others point out that fat is substituted with sugar and other additives in nonfat dairy products, making the full-fat variety the healthier choice. To get to the bottom of this debate, we compared the healthiness of nonfat yogurt to that of full-fat yogurt by analyzing their calorie, protein, carb, fat and sugar content. We also compared their vitamin and mineral profiles. To make this face-off as accurate as possible, we compare the nonfat and full-fat versions of one specific brand and type of yogurt — plain Chobani Greek Yogurt. Here’s what we found. A one-cup serving of plain, non-fat Chobani Greek Yogurt has 120 calories, whereas Chobani’s plain, full-fat version has 230 calories for the same quantity. This 110-calorie difference is something that you should definitely take into consideration if you eat large amounts of yogurt in one sitting. If you do choose to eat full-fat yogurt instead of nonfat, keep your portion size in check. 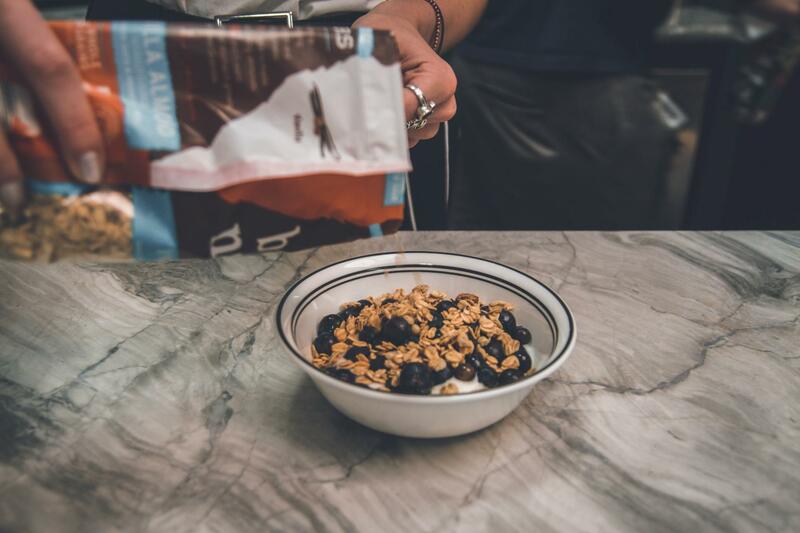 The good news is that the higher healthy fat content of full-fat Chobani Greek Yogurt will likely mean that you can eat less of it and still feel full. 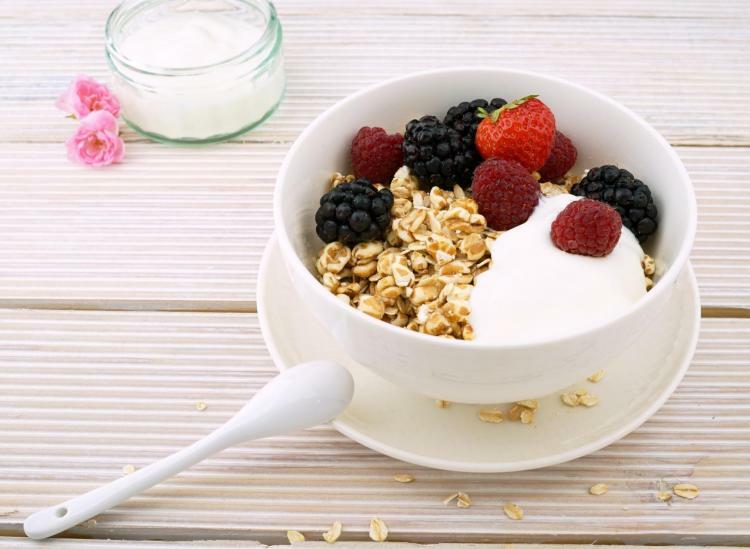 If you like to load your yogurt with toppings like nuts, granola, fruits and nut butter, you might want to stick to nonfat yogurt to keep the calorie content of your meal in a reasonable range. On the other hand, if you usually don’t add more than a few toppings, or if you usually only eat a little yogurt as a snack, then full-fat Greek yogurt might be better suited for you. 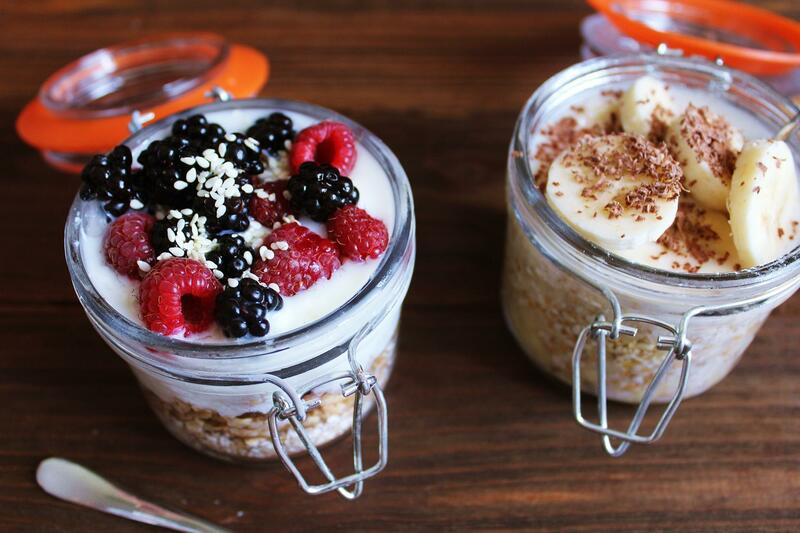 Both nonfat and full-fat plain Chobani Greek Yogurt contains 22 grams of protein for a one-cup serving size. This one really surprised us — we always assumed that the higher calorie content of full-fat yogurt meant that it would also have more macronutrients like protein. But for this brand of yogurt, that’s not the case. Eating an adequate amount of protein every day is essential for building and maintaining lean body mass. What’s more, some studies found that participants who ate a high-protein breakfast felt full for longer and consumed fewer calories throughout the day compared to those who didn’t include much protein in their morning meal. So eating either plain full-fat or plain nonfat Greek yogurt is a good option for those looking to consume more protein during breakfast and snacktime. 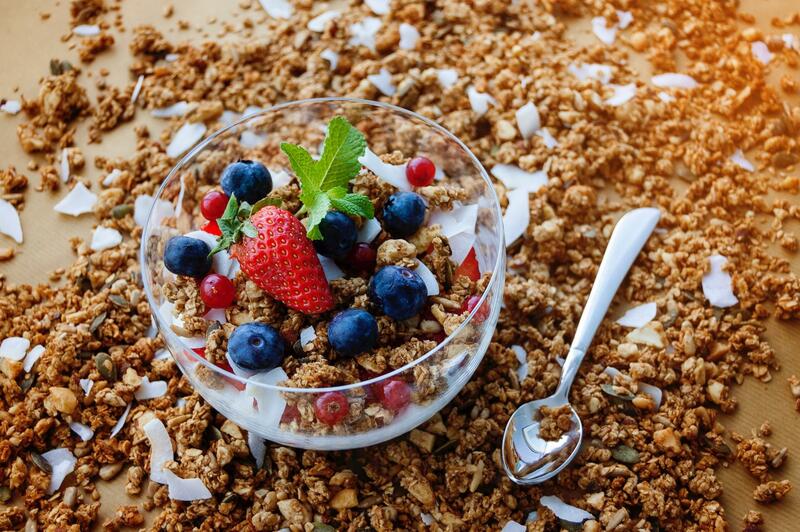 Plain, full-fat and nonfat Chobani Greek Yogurt contain the same amount of carbs — 9 grams per one-cup serving. 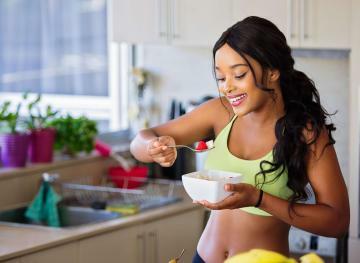 Carbs get a bad rep, but getting enough of them in your daily diet will keep your energy levels up and increase your daily dietary fiber intake if you source them from healthy picks like whole grains, fruits and veggies. The Dietary Guidelines for Americans recommends that carbohydrates make up between 45 and 65 percent of your daily caloric intake. So if you’re eating 2,000 calories a day, you should be consuming between 225 and 325 grams of carbs every day to meet your recommended daily carb intake. Eating yogurt alone won’t do much in terms of helping you reach your daily carb goal, and both full-fat and non-fat Chobani Greek Yogurt contains little-t0-no dietary fiber. So top your yogurt with fiber-rich fruits like bananas, apples and strawberries to increase the filling fiber and healthy carb content of your full meal. 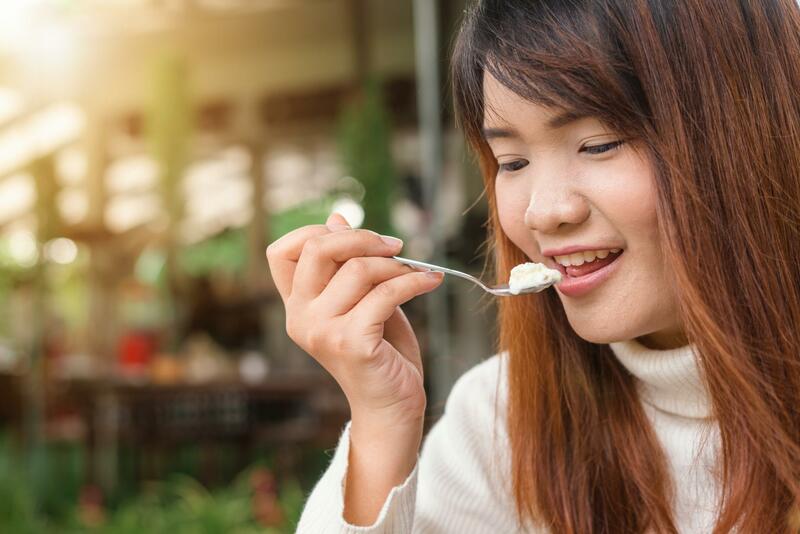 The fact that fat-free yogurt clearly has zero grams of fat per serving makes it a popular alternative to full-fat yogurt for those who are looking to reduce their daily fat intake. On the flipside, the full-fat variety has 11 grams of fat per serving, 7 grams of which come from saturated fat. To keep your heart healthy, the American Heart Association recommends that you limit your saturated fat intake to 6 percent of your total daily caloric intake — which translates to roughly 13 grams per day if you eat around 2,000 daily calories. However, a 2018 study published in the American Journal of Clinical Nutrition found that, contrary to popular belief, the fat in full-fat dairy products does not increase the risk of heart disease in consumers. The study even found that some fats present in certain dairy products (including yogurt) might even keep stroke and heart disease at bay. More research is needed to determine the real effect that saturated fat in full-fat yogurt has on our health, so if you’re concerned about your heart health or if you have a family history of heart disease, ask your doctor if including full-fat yogurt in your diet is a good idea. 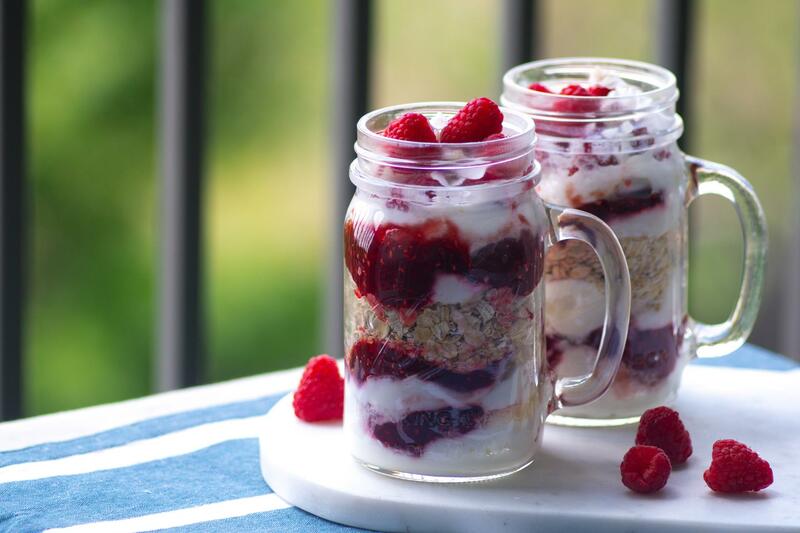 A one-cup serving of plain, nonfat Chobani Greek Yogurt has 6grams of sugar, whereas the same serving size of the full-fat kind has 5 grams of sugar. This 1-gram difference is pretty negligible and won’t make much of a difference in your daily diet. The good news is that neither varieties contain any added sugar. The sugar in plain, unflavored yogurt comes from lactose, the naturally-occurring sugar in milk. Keep in mind that The American Heart Association’s recommended limit for daily sugar intake — 36 grams per day for men and 25 grams per day for women — only applies to added sugar. So unless you’re eating multiple big bowls of yogurt per day, you don’t have to worry about the sugar intake from any kind of plain yogurt since it’s not from added sugar. 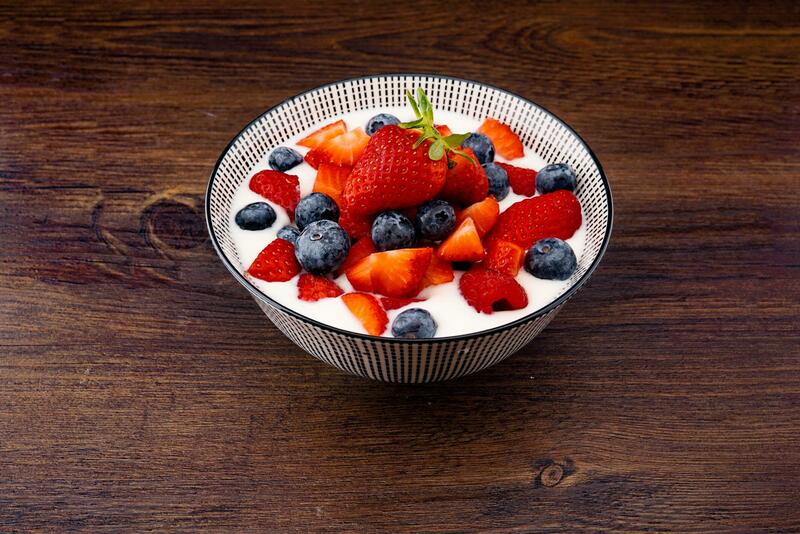 As mentioned earlier, one of the best things about yogurt is that it’s filled with essential vitamins and minerals. Yogurt is one of the best sources of calcium, which your body needs to maintain strong bones and healthy teeth, among other things. It’s also a great source of the B vitamins — particularly vitamin B12, riboflavin, pantothenic acid, thiamin and vitamin B6 — which are essential for transporting oxygen throughout your body. If you’re constantly feeling tired or cranky for no reason, a B vitamin deficiency could be to blame. Both nonfat and full-fat Chobani Greek Yogurt contains the same amount of calcium per serving — 25 percent of the FDA-recommended daily value. The nonfat yogurt contains slightly more potassium than the full-fat version (320 milligrams compared to 300 milligrams) and slightly more sodium (85 milligrams compared to 80 milligrams). But then the full-fat yogurt has 8 percent of the recommended daily value for vitamin A, whereas the non-fat kind doesn’t have any vitamin A. Your body needs vitamin A to maintain good vision, healthy skin cells, a healthy metabolism and optimal fertility. The Takeaway: Both full-fat and non-fat yogurt are healthy choices for a snack or a meal if you consume the plain, unflavored kind. Fat-free yogurt is less energy-dense than full-fat yogurt, so you can eat more of it while still consuming fewer calories. So if you’re a person who likes to load their yogurt with a ton of calorie-dense toppings, you might want to opt for fat-free yogurt instead of the full-fat kind. But full-fat yogurt is still a healthy choice as long as you keep your portion size in check and toppings on the moderate side. And if you’re trying to eat more foods rich in vitamin A, then opting for full-fat yogurt is the better pick.